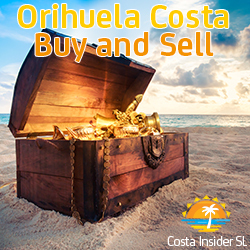 Torrevieja and the surrounding area has a tremendous selection of restaurants to choose from and many offer fantastic value for money. The wide variety of restaurants includes Spanish, American, Seafood, British, Chinese, and Indian to name but a few. 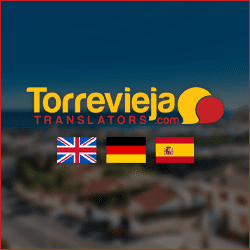 Family dining is very well catered for in Torrevieja since family and children are very important to the Spanish so you will find many restaurants with play areas for children. 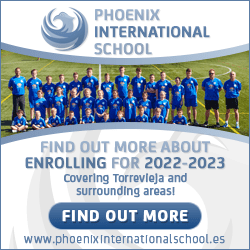 You will find many of the Torrevieja restaurants offer buffet style service, which is great when you have young children with you, especially if they are fussy eaters. With a wide variety of food to choose from they are bound to find something they like. There are also many fast food establishments, and they do have the big favourites MacDonald’s and Burger King. Tapas have been a tradition in Spain for centuries. Believed to have originated in the villages and countryside when farm workers and village labourers would stop for a break in the local taverna to enjoy a small glass of wine. With the lack of insect and mosquito screens in those days, bartenders would place a crust of bread over their customers glasses to keep the insects out, and not wanting to be wasteful, the customers would eat the bread before returning to their labours. Thankfully nowadays tapas have evolved into a mind boggling selection of tasty treats to accompany your drink, with different varieties of tapa using the fresh produce of each region. Visitors to Torrevieja are often put off eating in Spanish restaurants purely because they can’t understand the menu, and this really is a shame as the variety and quality of most Spanish food is excellent. This needn’t be the case with tapas bars as most will have their tapas in glass display cases and it is just a matter of pointing to whatever takes your fancy. Other more traditional tapas bars will just serve you a tapa with your drink order free of charge, so no need for any communication, just enjoy it or leave it, as the tapa has cost you nothing. 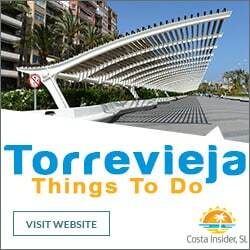 Aside from the traditional tapas bars where you will find the city’s older citizens smoking, enjoying a glass of wine and playing a game of checkers, Torrevieja has a selection of lovely tapas restaurants where you select what takes your fancy and each tapa will come with a toothpick. At the end of your meal the toothpicks are counted and that is the amount of tapas you pay for (an indication of Spanish honesty) An excellent value tapas restaurant called Euromania can be found on Calle Ramon Galud, next to Domino’s Pizza where the fantastic variety of tapas are super fresh and range from 1€ – 3€ depending on size and ingredients. 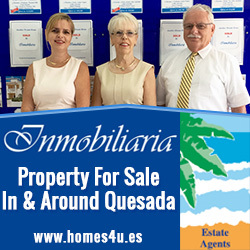 We are trying to arrange the restaurants into what type of establishment they are, for example Spanish, British etc, to make it easier for you to find a restaurant you would like to visit, depending on what type of food you fancy eating that night. We are going to try and visit as many restaurants as we can over time, so will most likely be gaining quite a bit of weight in the process 😉 but obviously we won’t get to them all so we rely on restaurant owners and customers to keep us updated. 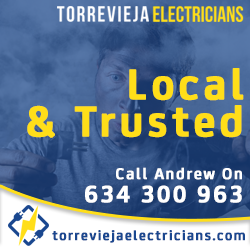 If you own a restaurant that is not listed (go to our Get a Page) or if your a customer who has eaten somewhere that you feel should be listed, then please do let us know by filling in the “Something Wrong on Torrevieja Insider” at the bottom of this page.